One of the big stresses when getting your teeth straightened is having to go into new situations with braces on your teeth. Meeting new people is hard enough for most of us, even when we think we are looking fantastic, let alone when we have teeth straightening devices in our mouths. We may be adults on the outside, but inside each of us is a gawky adolescent scared of being stared at and called brace face. These look like the traditional braces we are familiar with. There are brackets and wires. The difference is that the brackets are made of clear ceramic and the wires are tooth-coloured. Once in place, these braces blend in with the teeth rather than obscuring them with metal. Designed for mild to moderate issues with the front 6-8 teeth, Six Month Smiles take 4-9 months to do their work. A removable device that works on wonky front teeth by sandwiching them between 2 aligners bows that go in front of and behind the teeth. Treatment takes 6-8 weeks. Transparent mouth guard-style aligners that have in-built pressure points that push the teeth into alignment. Progress is achieved by changing to a new aligner in a series every 7-10 days. The average treatment time for Invisalign is 12 months. You will have to wear a retainer for some time after your treatment is complete to hold your teeth straight while the bone hardens around them. Come in and have a consultation to find out which invisible braces in Luton are the ones for you. Make this your year of straighter teeth. 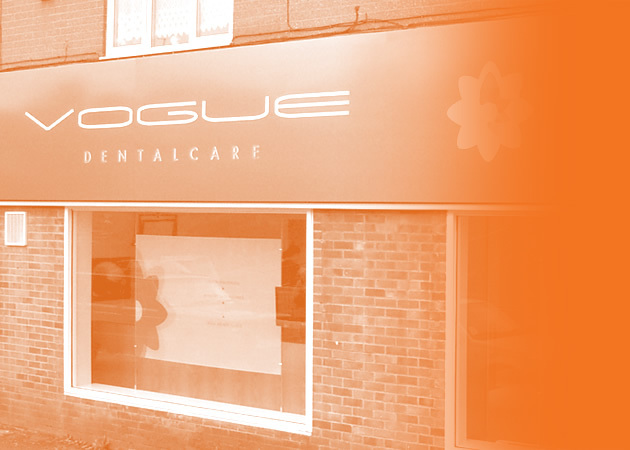 This entry was posted in Invisible Braces on 29th January, 2019 by Vogue Dental Care.